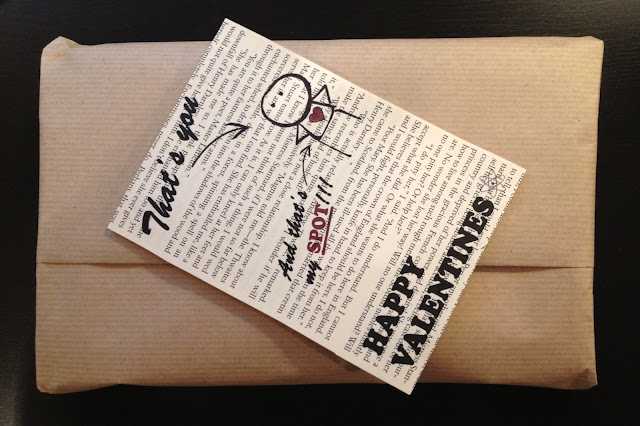 So here I am, a bit later than I expected - due to some intense film editing work that came along - but nonetheless keeping my promise of showing you my Valentines gift to Mr. Hunter. We swore to keep it small as we celebrate the date twice a year (in Brazil, Valentines is on the 12th of June), so I gave Mr. Hunter a t-shirt, but I put some thought into it. 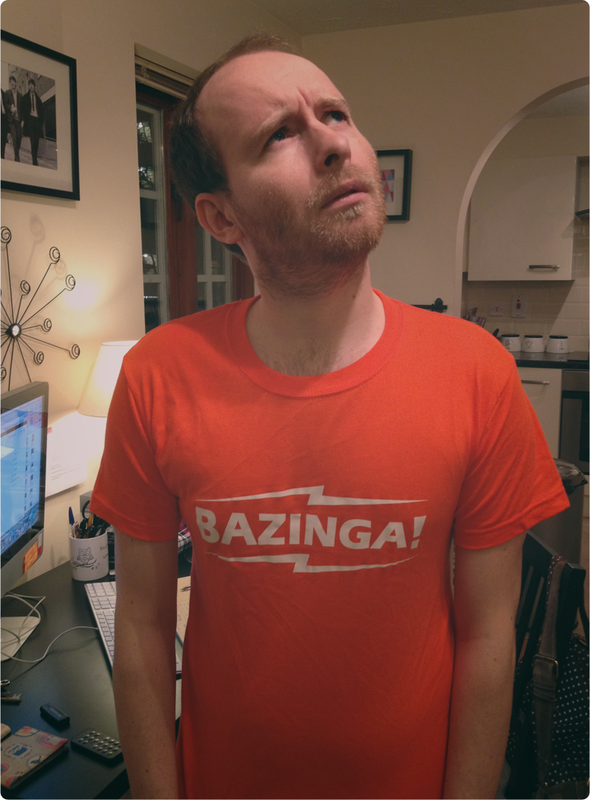 As he is a massive Big Bang Theory fan, I decided to present him with a Bazinga! And this leads me to the DIY part of the gift: The card. Sometimes creating your own card makes all the difference. For this one I used the same technique you can see in this selection and printed it on an old book page. He got it straight away and really appreciated it! Well, for those of you who love or know someone who loves Big Bang, I am making it available to download, just follow the link. It's made to fit half an A4, but you can adjust the percentage when printing it to 85% to fit a standard card size (10.5cm x 15cm). Mr. Hunter is pretty much Chandler, from Friends, so he never ever smiles in picture!